I thought I would share a quick and simple holiday gift guide with you in case you were still looking for Christmas gift ideas. 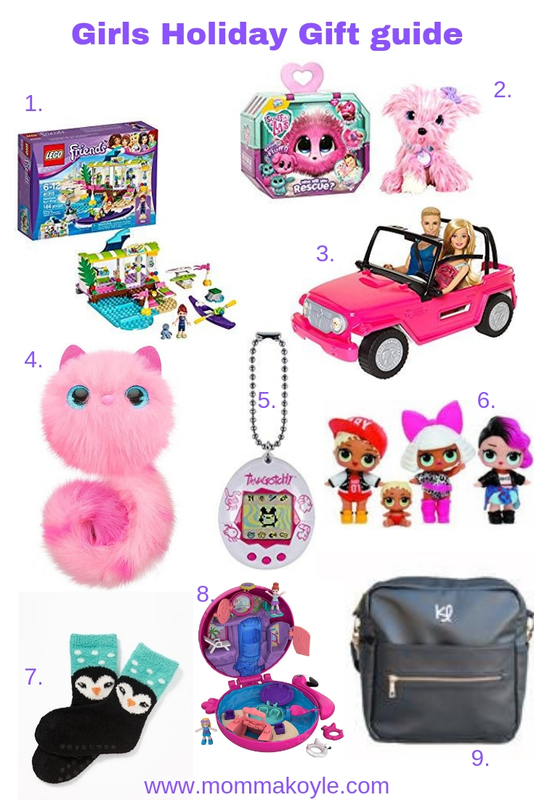 I could go on all day about fun little trinkets but these are the items that my girls have specifically asked for. Lego Friends- My girls love Legos! They aren't too picky. I could get them any set and they would be happy. Legos are one thing my kids consistently play with all year round. Scruff a luv- This is the one thing my kids did not actually ask for but one of my friends told me about it for her daughter and I thought I needed to get one too. Basically it is a sad ratted mess of a ball. You adopt it, bathe it, brush it, and show a little TLC to discover what your animal is. Pomsies- I don't even know if my daughter knows what this does. She just saw it in an ad and has been dead set on it ever since. After investigating I found it to be a modern day Furbie like toy. Tamagotchis- I remember playing with these (and the Giga pets) as a kid so when I saw these I knew I had to get some for the kids. I got them some green ones when Toys R us was going out of business. However, Amazon has some that are a lot cuter than the ones I got lol. Fuzzy socks- One thing my girls got from me was my love of fuzzy socks. None of us like to be cold and there's not much better than being bundled up and having cozy socks on. These are usually on sale for $1 each at Old Navy on black Friday. I haven't checked if they will be this year so don't hold me to that price. Polly Pockets- I remember telling my friends a couple months ago how much I wished they would come out with Polly Pockets because I loved them as a kid. I even went as far as checking ebay to get some vintage ones for the girls, but the ebay prices were steep. I was sooooo excited when they brought them back. (Seriously, every birthday party the girls have been invited to we've been giving these as gifts) were getting the pink flamingo and the yellow sandcastle. 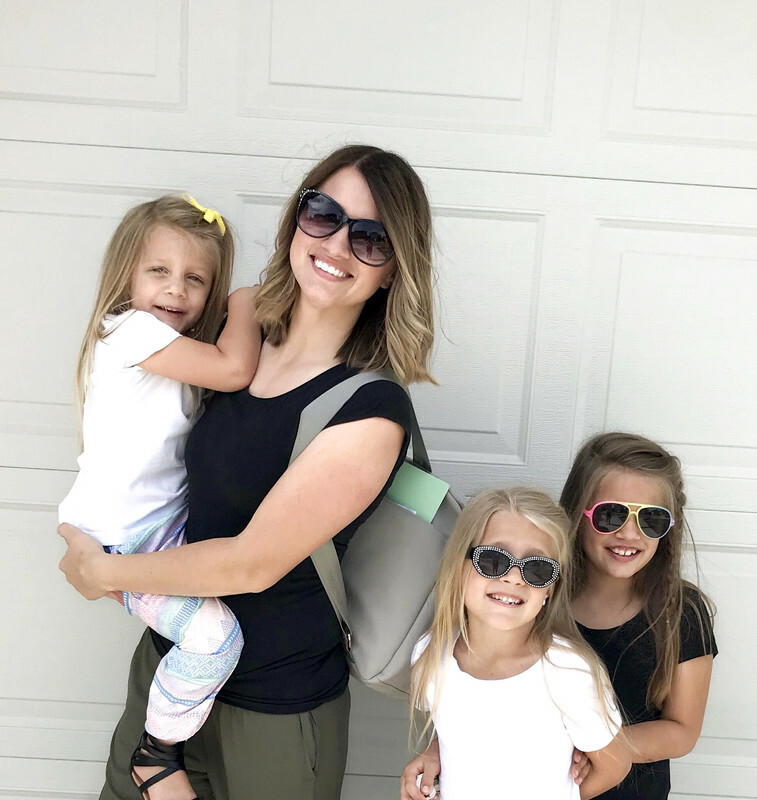 Kikilu Bags- My girls love my back pack bags (as they call them). They have little purses but they really want a back pack bag. Kikilu just came out with some adorable mini bags in black, grey, and pink!